H.E. 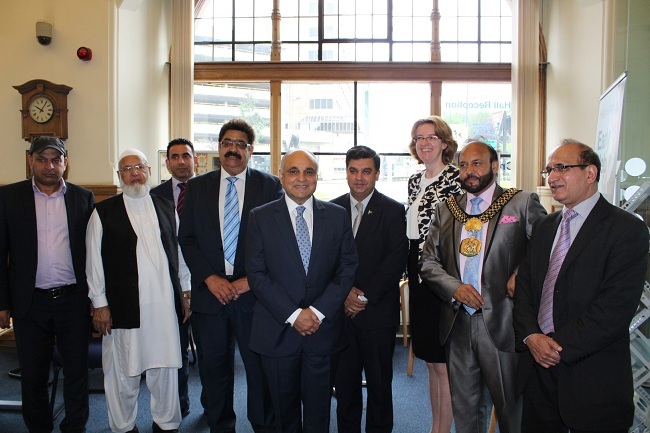 Syed Ibne Abbas, the High Commissioner, during his visit to Bradford, met with Abid Hussain, Lord Mayor of Bradford, Susan Hinchcliffe, Leader of Council and other representatives of the Council in the City Hall of Bradford on 17 August 2017. He was given a round of the City Hall which is a historical building. The High Commissioner congratulated the Lord Mayor on assuming the prestigious office. He also congratulated the Leader of Council on assuming the Chair of ‘West Yorkshire Combined Authority’. Imran Hussain MP also joined the meeting. The High Commissioner stated that Pakistan is keen to develop stronger business and trade ties with the UK in the wake of Brexit when Britain would be seeking new markets outside the EU. He invited the British businesses to take benefit of the trade and economic opportunities available in Pakistan, especially at a time when implementation on the project envisaged in the China Pakistan Economic Corridor (CPEC) has started. The High Commissioner discussed the possibility of ‘Twinning of Bradford’ with any City of Pakistan. This, he added, would give an impetus to trade ties and cultural exchanges between the two regions. The High Commissioner also appreciated the initiative by Bishop of Bradford to promote harmony among multicultural faiths and integration of Society. 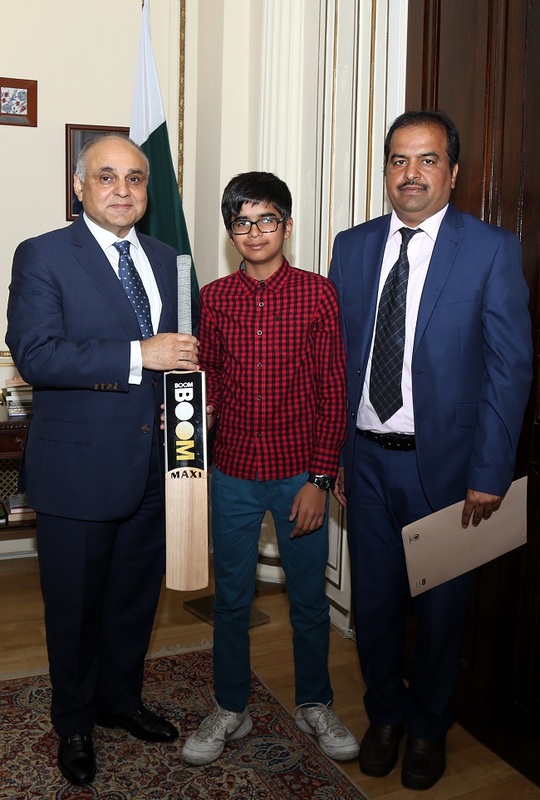 He underscored the importance of youth involvement in social and community events and requested the Council representatives to work with the Pakistan Consulate for chalking out youth focused activities. The High Commissioner also shared that he would talk to managements of the PIA and the British Airways to resume the PIA service from Leeds which would greatly help increase trade and economic relations between Bradford/Leeds and Pakistan. Lord Mayor and Leader of Council appreciated the role of the Pakistani diaspora in the socio-economic development of Bradford. The two sides agreed to work closely towards achieving the shared objectives of business promotion and enhanced communal cooperation. Consul General Ahmad Amjad Ali accompanied the High Commissioner.